Florent Brard (born 7 February 1976, Chambray-lès-Tours, France) is a retired French road bicycle racer. He won three national championships, including the professional road race. He became a professional in 1999 and stopped racing in November 2009 after not finding a place in a team. Florent Brard was born into a cycling family. His father bought two copies of cycling magazines, one to read and the other to save, untouched. Florent Brard raced as an amateur as a member of the Cercle Paul-Bert in the Tours region of France. He won the national youth pursuit championship in 1992 and 1993 and the junior pursuit in 1994. He tried professional racing as a stagiaire, or apprentice, with the Française des Jeux team in 1997, riding at the Élite 2 level. From there he moved next year as a full professional to Festina. Brard showed from his youth that he had talent for long, lone efforts and for riding a large gear for long periods. He said: "I've ridden a lot on the track during the course of my career. The pursuit is an excellent school for progressing on the road. So I'm a fairly good rouleur and that's therefore the talent that I try to exploit to make an impression." 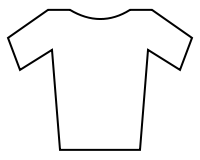 That brought him his first win as a professional, the last stage of the Étoile de Bessèges on 11 February 2001. He won alone after being in a breakaway group close to being caught by the main field after 120 km. He said: "It would have been just too stupid to miss the chance a kilometre from the finish. My legs hurt, I was cooked, but I gritted my teeth and threw my last force into the battle." He won the national time-trial championship later the same year and he won a stage in and led the Tour de l'Avenir. He also won Paris–Bourges and GP-Cholet-Pays de la Loire. In 2005, with Agritubel, he won Paris–Troyes, the Trophée Luc Leblanc and a stage at the Circuit de la Sarthe. In 2006, he moved to Caisse d'Epargne-Illes Balears, with whom he rode the Tour de France after winning the national road championship at Chantonnay a week before the start. He said: "When you've been down at the bottom [See below] you appreciate the heights even more." He spent the rest of the year racing and training in his blue, white and red jersey. "You only have it until the following June," he said, so he wore it when he could. He did not finish the Tour de France, falling during the penultimate stage. I think it's fair to say that that long period allowed me to change the way I looked at life. Until then, for me, the professionals were gods. Now, when I see a sportsman, I see the man. The status of champion isn't enough. A champion can be a good guy as much as a bad one. He rode then for Belgian teams because, he said, Roger Legeay, his former boss at Crédit Agricole, was president of AC2000. "He knew that I was in touch with Agritubel; he said to a meeting of AC2000, 'If a French team takes on a former dope-taker, we'll throw it out of the association.'" Brard is married to Nathalie, with whom he has two daughters. In 2006 they moved to Serres-Castet, near the Pyrenees, to profit from better weather for training than in the Loire valley around Tours and to improve his riding in the mountains. ↑ A rider who can ride at speed for prolonged periods. ↑ AC2000 is a grouping of French cycling teams making a stand against drug-taking in the sport. A condition of membership was not to employ riders or staff implicated in doping.